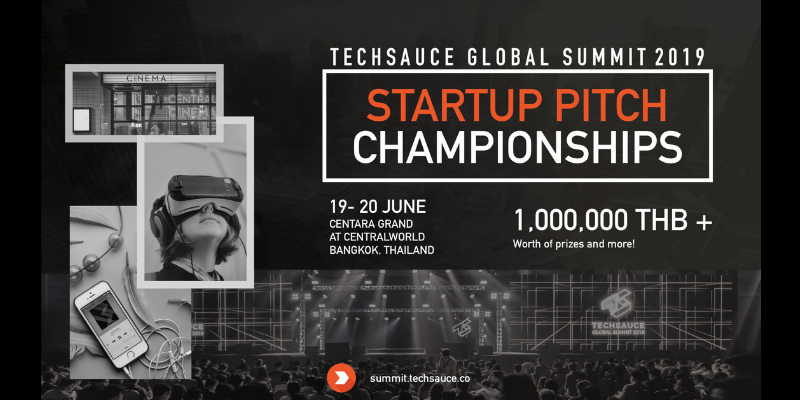 What is Techsauce Global Summit? This year, Techsauce Global Summit 2019 will be bigger than ever. We expect to attract 15,000+ attendees from across the world. It will transform beyond just another tech conference but into a real cultural festival. Expect the event to go beyond tech and into more communities such as social entrepreneurs, musicians and artists, filmmakers, athletes, LGBTQ and so on. 1,000,000 THB + Worth of prizes and more! Each startup will be awarded with (1) complimentary round-trip air ticket, accommodation in Bangkok, and (1) conference + afterparty pass, a booth on the main floor.